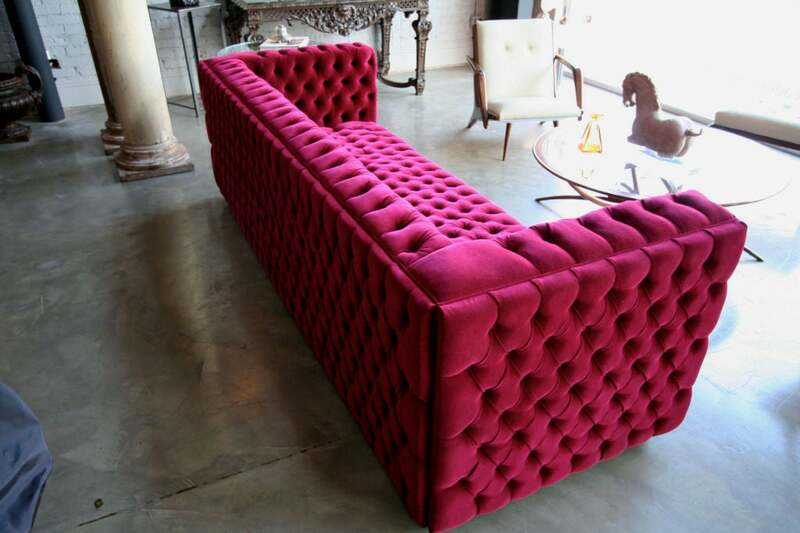 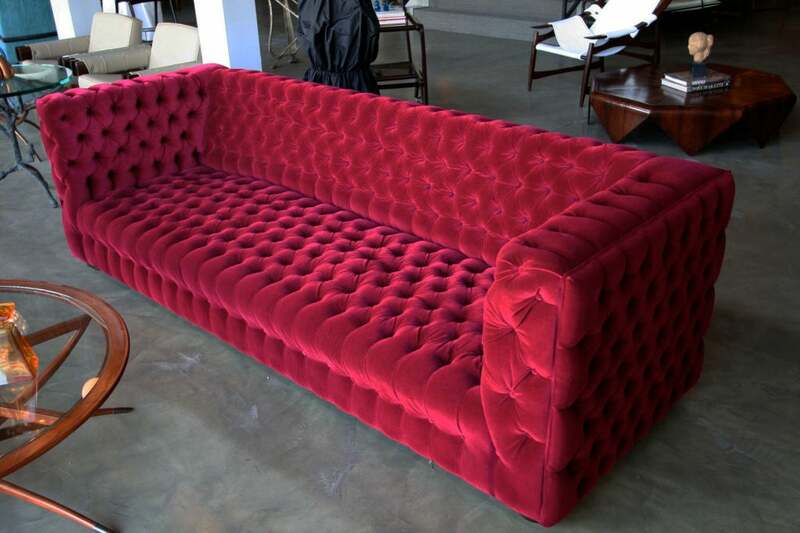 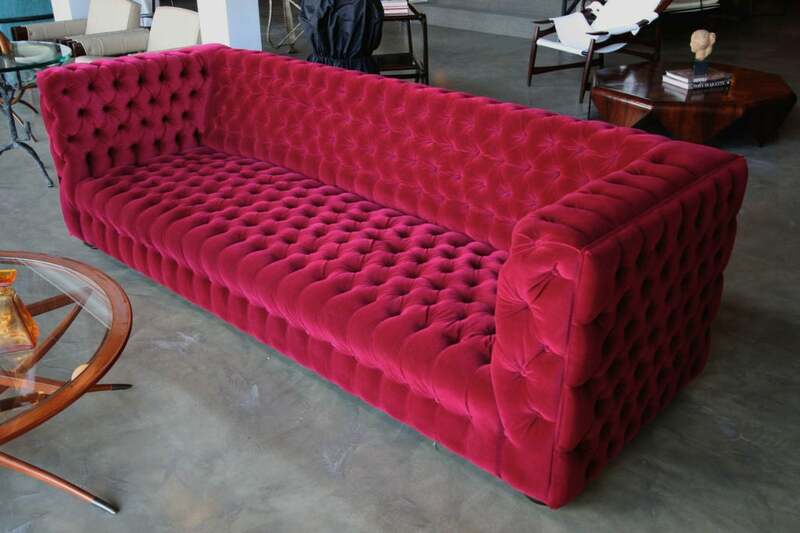 Spectacular custom Capitone "Carmen" tufted sofa by Adesso Imports upholstered in red Belgium velvet. 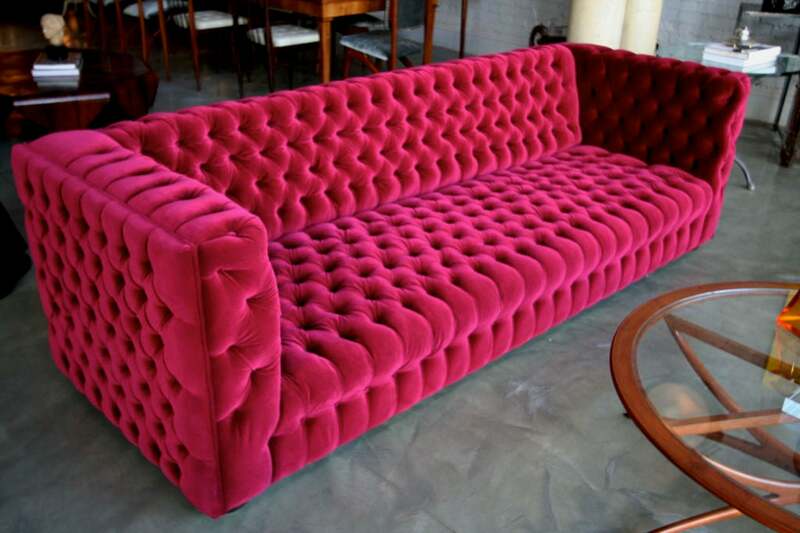 Every side of the sofa is tufted, even the back. 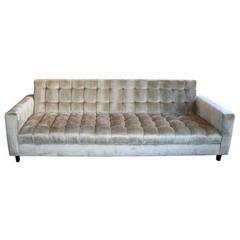 Custom tufted sofa upholstered in grey Brussels velvet by Adesso Imports. 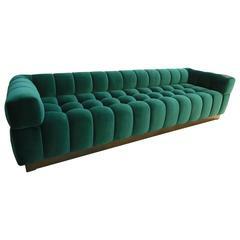 Custom tufted sofa newly upholstered in green velvet on plinth base. 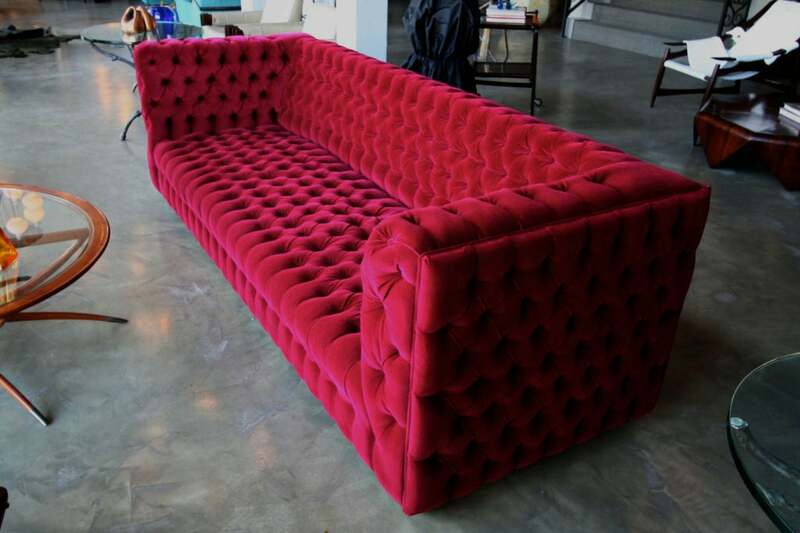 Has loose seat and side cushions. 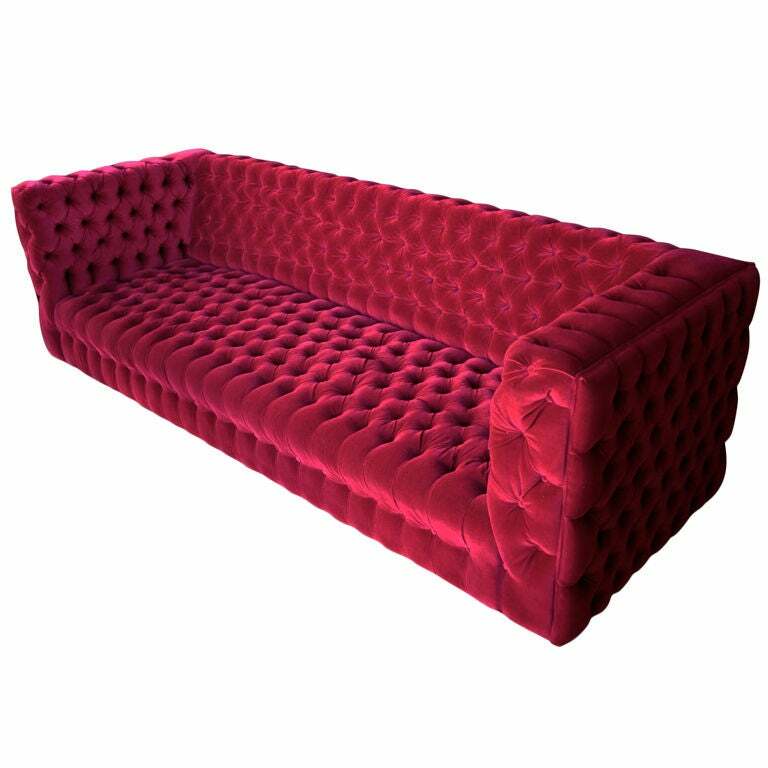 The sofa shown is available now. 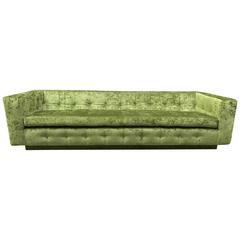 Beautifully made and styled sofa in luxurious grey velvet with flared brass legs. 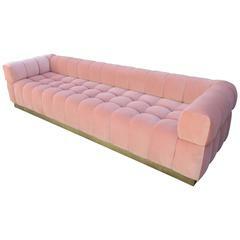 Seat height is 18". 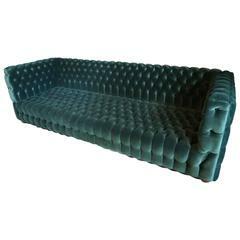 Custom curved sofa in blue velvet. 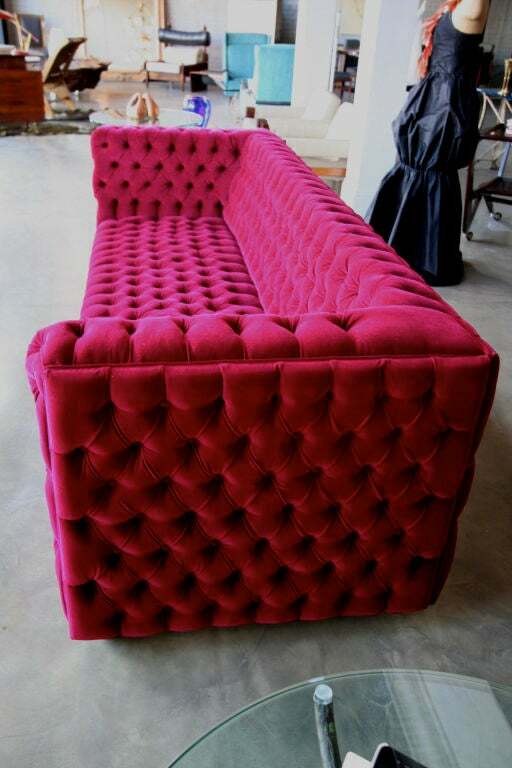 Customizable options: Finish COM textile size hardware.